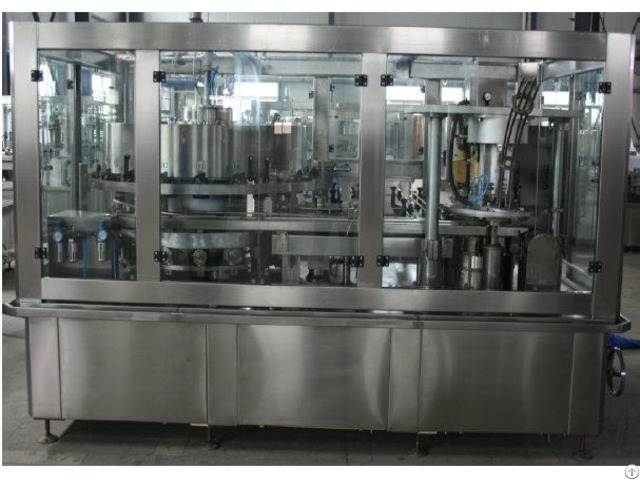 This beer can filling-capping 2-in-1 unit machine is suitable for beer can filling and capping. It is a new design after absorbing the advanced technology both at home and abroad. Filling and capping are combined into one unit. 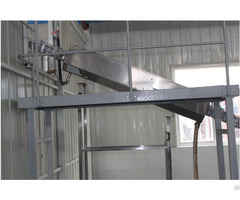 Filling system is motored by filling system, which guarantees the synchronization and coordination between the two parts. 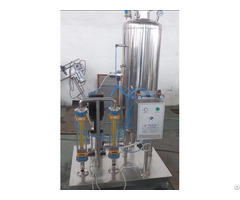 With the absorption of the most advanced mechanical, electrical and pneumatic control technology, using isobaric filling principle, it has a lot of advantages such as high filling speed, stable liquid level, less liquid lost, high quality capping, stable performance, beautiful appearance, easy operation and maintenance and frequency control for production speed. 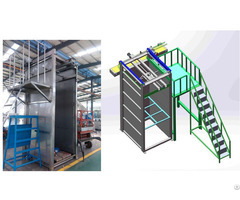 This machine can be mated the long-distance control system according to clients' requirements which is the first choice for the small and medium-size brewery factory. This machine includes CO2 jetting after filling.